Earlier this month, our team attended Canadian Music Week in Toronto. The conference was held from May 7th to 13th and discussed all aspects of the music industry including radio, digital, live/touring, the international marketplace and music cities. 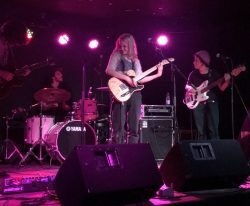 During the week showcases were held in venues throughout the city featuring some of the best and emerging acts in Canada. 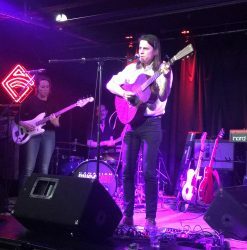 Packed with back to back shows, panels and meetings our group was happy to sync up with some of our Canadian labels and enjoy many of our local artists including performance by Luminelle artists Helena Deland and Anemone as well as Audiogram acts Aliocha, Elliot Maginot and Soran. We also caught Nate Husser, a rapper under Cult Nation and REHN Music Group talent, Royal Prospects. Label and sales manager, JD Parent, met up with numerous labels and saw a ton of showcases. He was blown away by Royal Prospect (REHN Music Group), “They played outdoors, mostly acoustic and sounded fantastic!” With so much going on, he only wishes there was time to fit in more.